"Then there are the mandates by countries that pension funds MUST be invested in government bonds. This negative interest rate is creating the next major crisis. As a matter of law, these funds cannot even divest all government bonds in many countries. We are looking at a crisis far worse than any derivative or banking crisis. 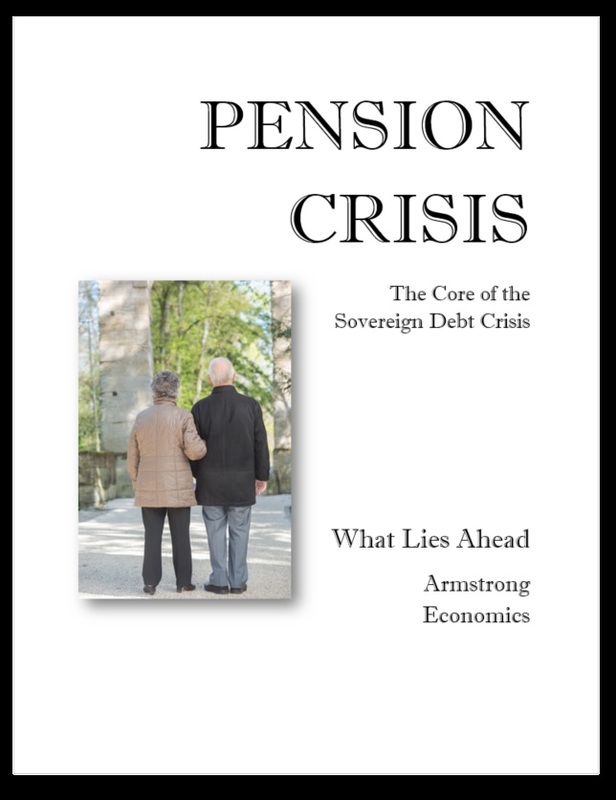 It is the Pension Crisis that nobody talks about. brings socialism to an end." When one of the tiniest pension funds imaginable — for Citrus Pest Control District No. 2, serving just six people in California — decided last year to convert itself to a 401(k) plan, it seemed like a no-brainer. After all, the little fund held far more money than it needed, according to its official numbers from California’s renowned public pension system, Calpers. In fact, it was significantly underfunded. Suddenly Calpers began demanding a payment of more than half a million dollars. “My board was somewhat shocked,” said Larry Houser, the general manager of the pest control district, whose workers tame the bugs and blights that threaten their corner of California citrus country. It is just a few miles down the road from Joshua Tree National Park. It turns out that Calpers, which managed the little pension plan, keeps two sets of books: the officially stated numbers, and another set that reflects the “market value” of the pensions that people have earned. The second number is not publicly disclosed. And it typically paints a much more troubling picture, according to people who follow the money.